Bobby Lockwood is an English actor. 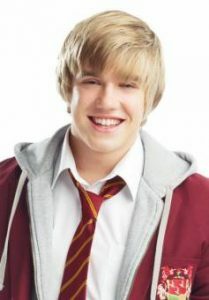 He is best known for his portrayal of Rhydian in CBBC’s hit series Wolfblood, for which he won a British Academy Children’s Award as best performer. He played Mick Campbell in the Nickelodeon’s mystery television series House of Anubis from 2011 to 2012. He won the BBC celebrity gymnastics show Tumble in 2014. He has also appeared in such films as Mum’s List (2016), Honey 3: Dare to Dance (2016), Access All Areas (2017) and Dunkirk (2017). Born Bobby Leslie Lockwood on May 24, 1993 in Basildon, England, he has an older brother, James, and a younger sister, Abbie. He attended SEEVIC College in Essex. He started his acting career at age 10, when he landed his breakout role, as the voice of Patch in the film, 101 Dalmatians II: Patch’s London Adventure. *He began his acting career at a young age. *He is a supporter of English football club Tottenham Hotspur F.C. *He has a pet cat named Alfie.